Anybody who grew up reading comics knows Gene Colan, especially from his work for Marvel in the 60's and 70's on Daredevil, Iron Man, Doctor Strange, Howard the Duck, and Tomb of Dracula, and his 80's work for DC on Batman and Wonder Woman. He continued to work in comics until recently, winning an Eisner Award in 2010 for his work with Ed Brubaker on Captain America #601. Goodby, Gene. I drew this for you. "I was living with my parents. I worked very hard on a war story, about seven or eight pages long, and I did all the lettering myself, I inked it myself, I even had a wash effect over it. I did everything I could do, and I brought it over to Timely. What you had to do in those days was go to the candy store, pick up a comic book, and look in the back to see where it was published. Most of them were published in Manhattan, they would tell you the address, and you'd simply go down and make an appointment to go down and see the art director". Al Sulman, listed in Timely mastheads then as an "editorial associate", "gave me my break. I went up there, and he came out and met me in the waiting room, looked at my work, and said, 'Sit here for a minute'. And he brought the work in, and disappeared for about 10 minutes or so... then came back out and said, 'Come with me'. That's how I met [editor-in-chief] Stan [Lee]. Just like that, and I had a job". Last edited by Slothboy3000; June 25th, 2011 at 12:27 PM. 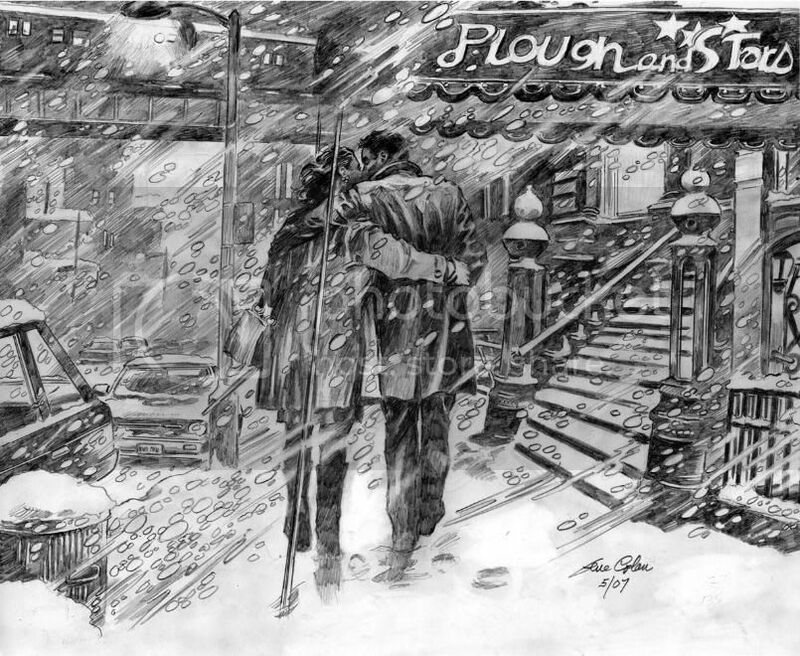 Gene Colan Scholarship at the Kubert School. Among the many things I loved about his work was the cinematic lighting and sequencing. It was magnificient and unique to his own style. The black and white example below comes from Eerie Magazine #4 story "Hatchet Man," and the other is a cover (issue 2) of his mini series for DC Comics called "Nathaniel Dusk." I have had the distinct pleasure of personally meeting the man on a couple of occasions and he was extremely kind and generous. I'm very sad about his poor health before he passed. He deserved better. R.I.P. Gene your work was what gave me the best childhood and imagination and inspiration.